This portrait image was selected not only because of its important historical context, being sited clearly in its own time, but because it is a face that could also exist in the here and now, in our time. 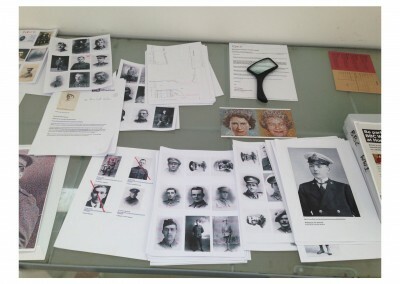 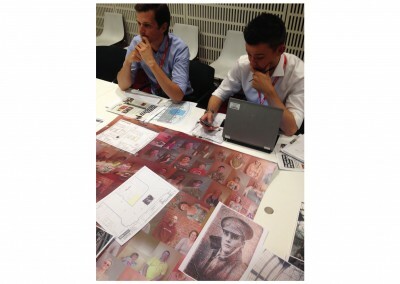 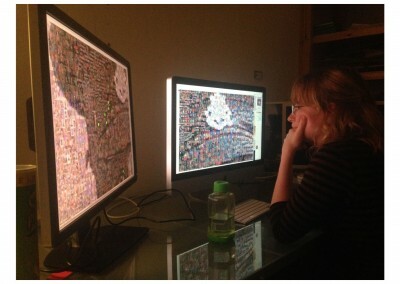 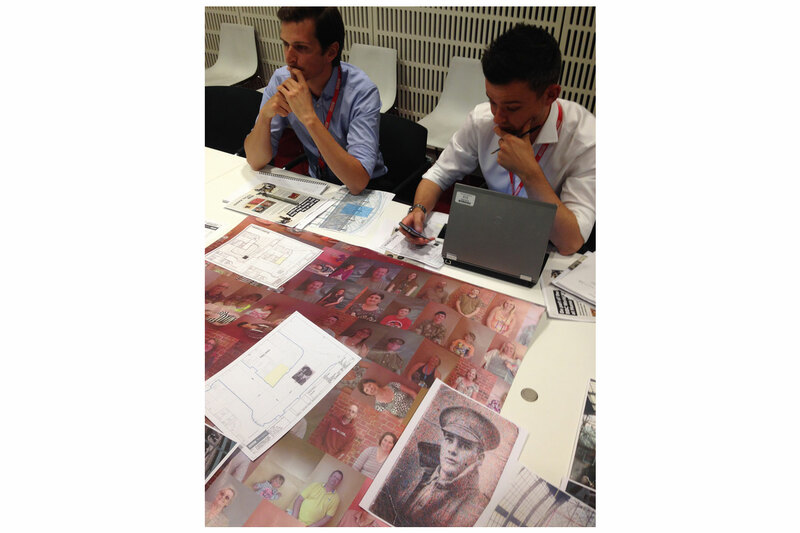 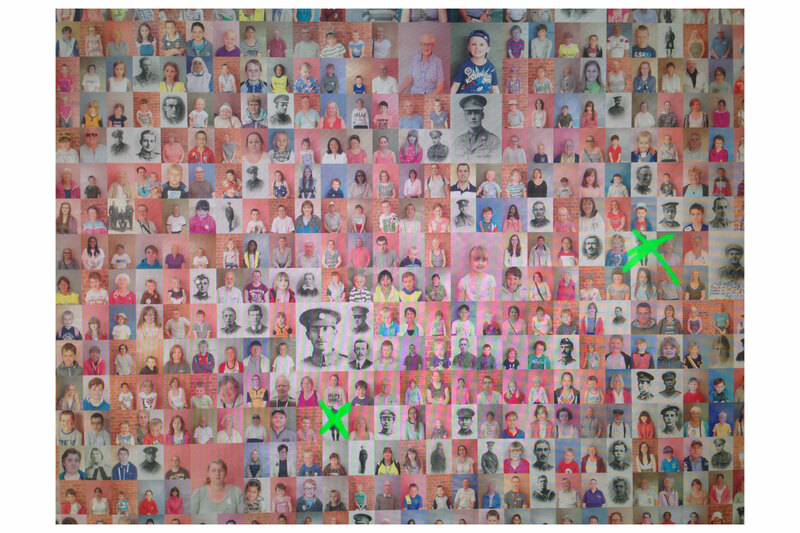 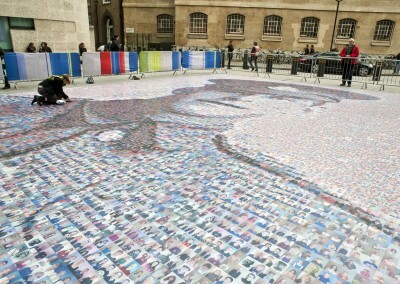 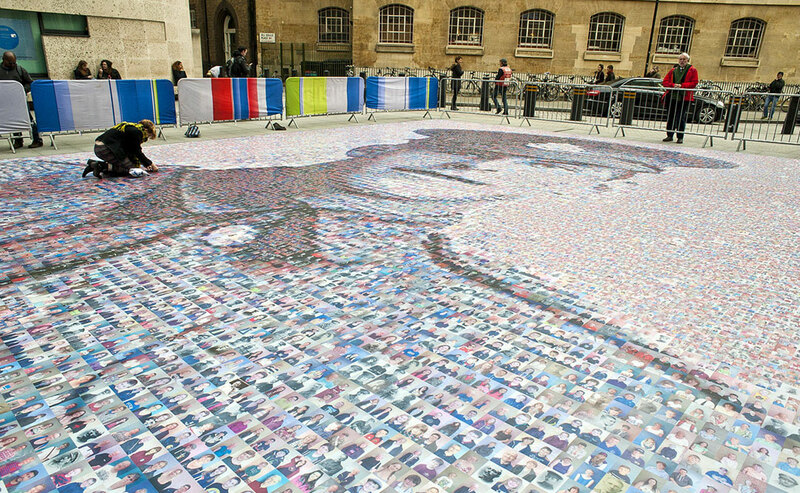 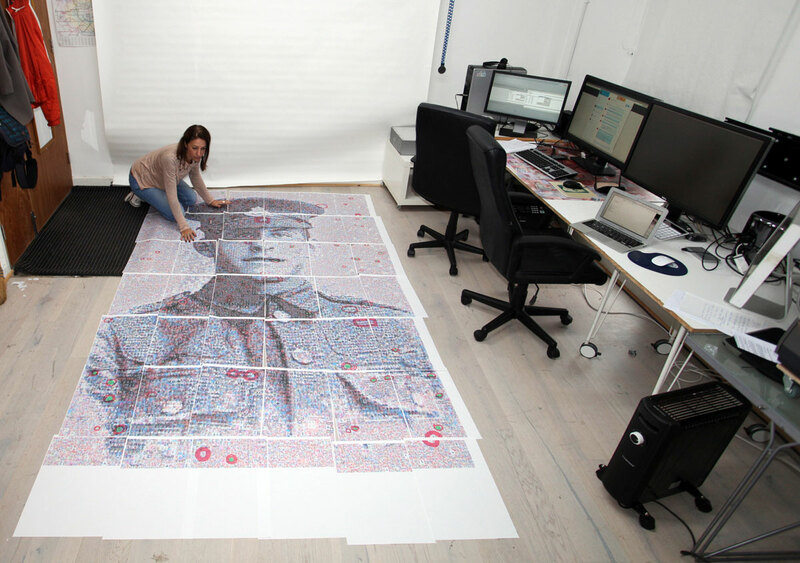 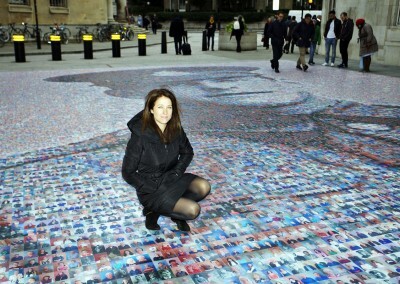 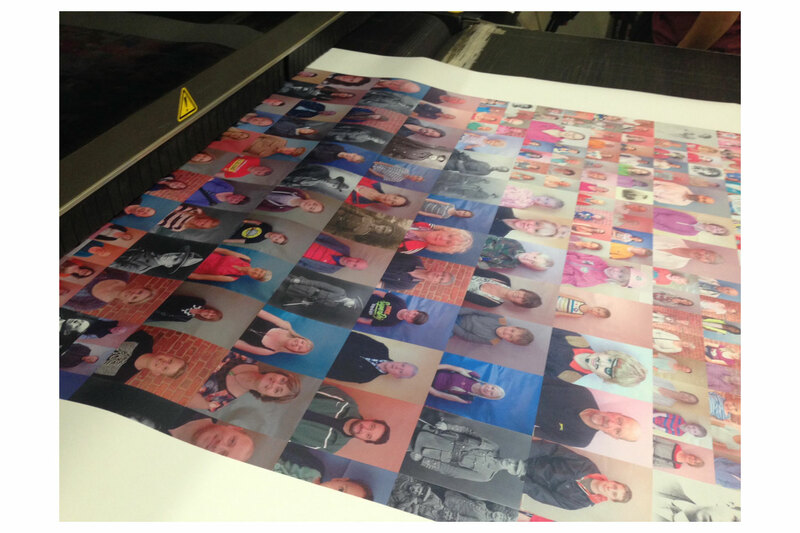 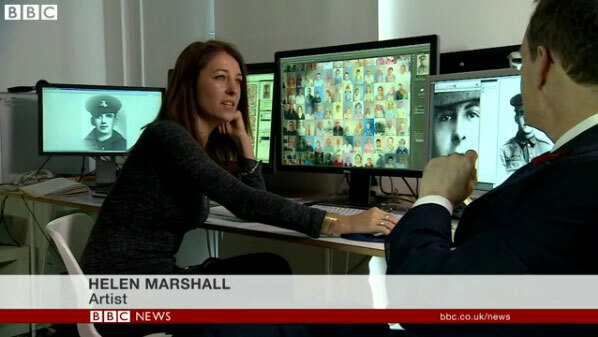 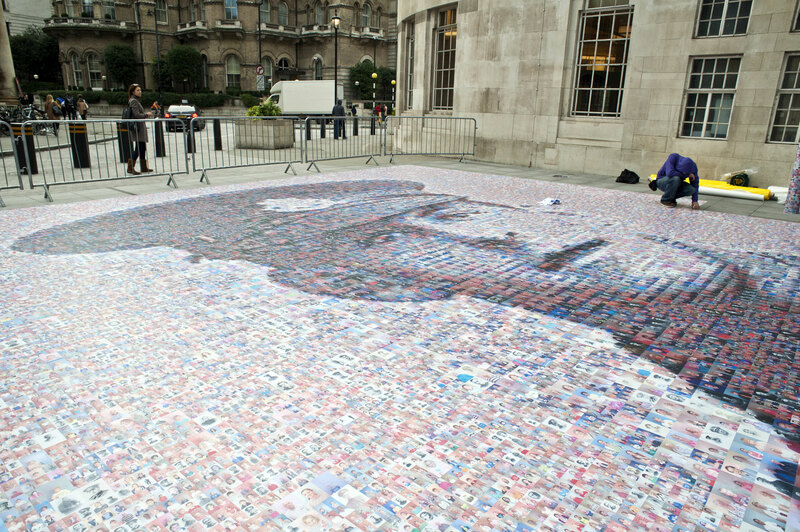 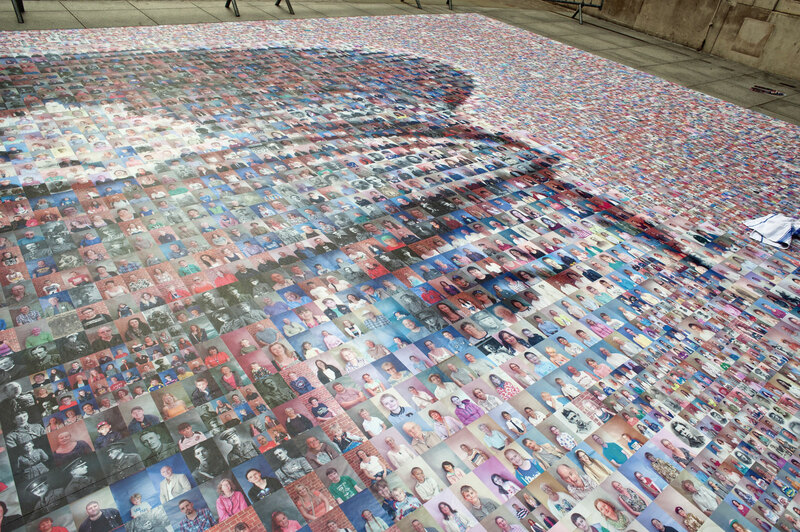 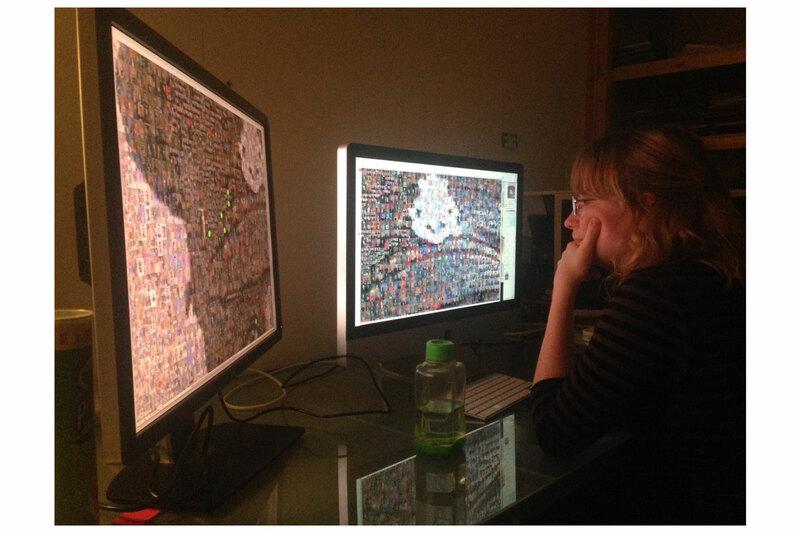 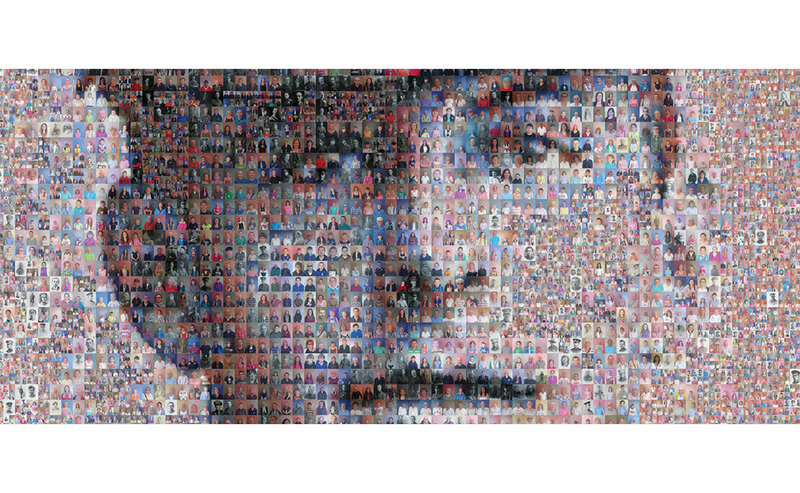 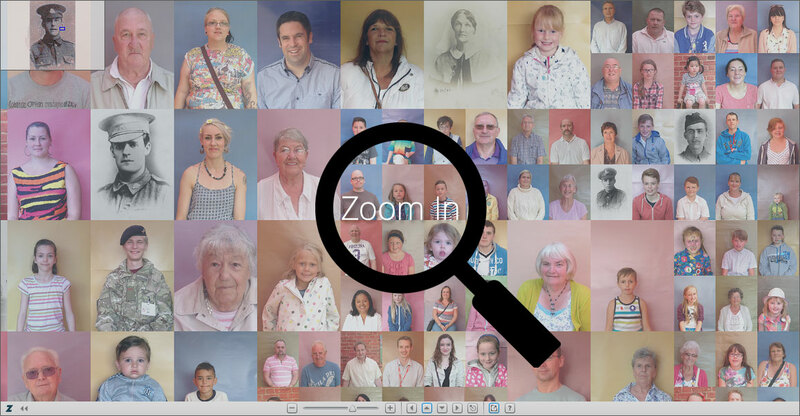 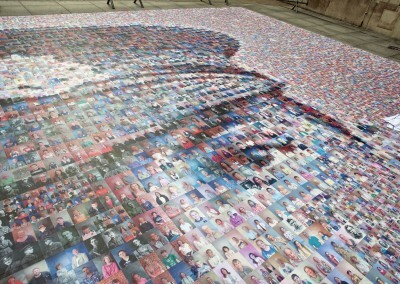 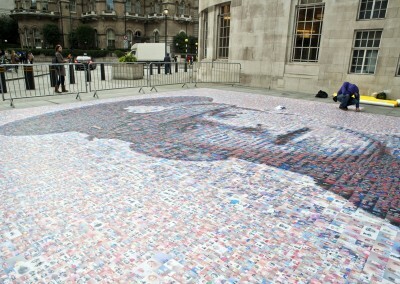 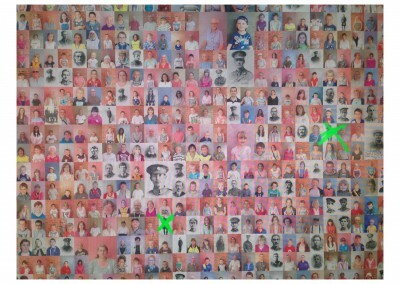 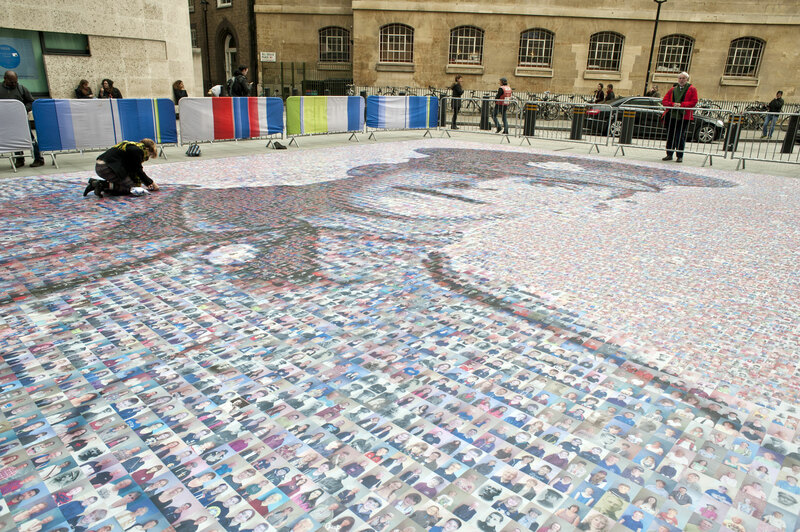 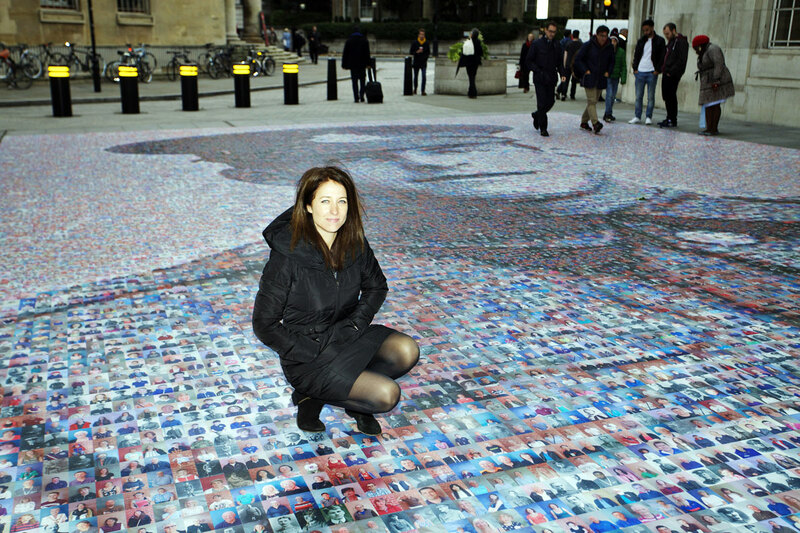 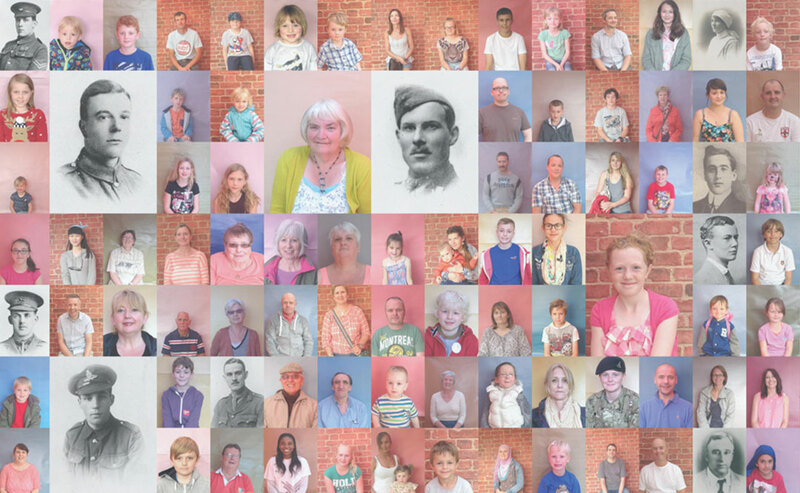 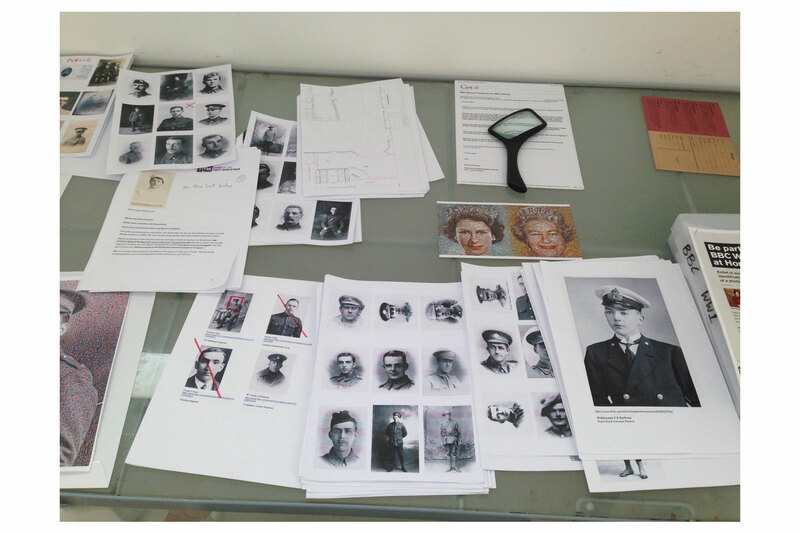 Artist Helen Marshall was commissioned by BBC Local Radio to create ‘The Face of World War One’, containing more than 30,000 photographs captured across the nation during the BBC World War One at Home Live Events. 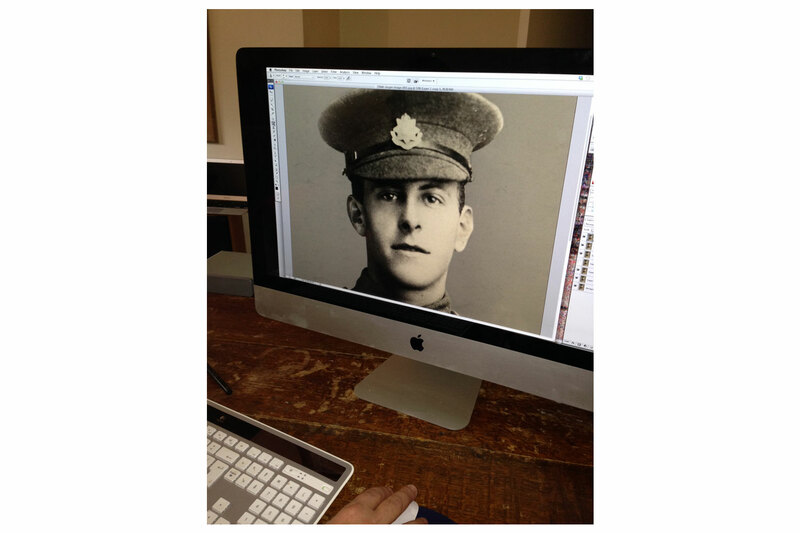 Original photographs from 1914-1918 have also been included in the mosaic, supplied from the archives of Imperial War Museums and public submissions. 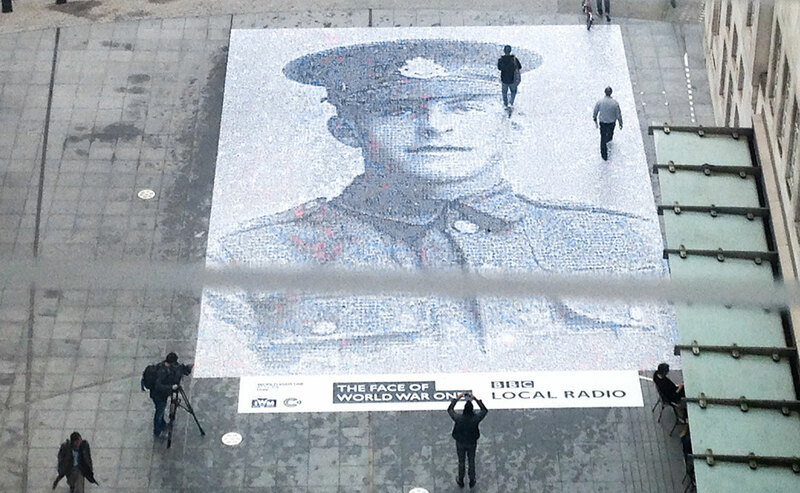 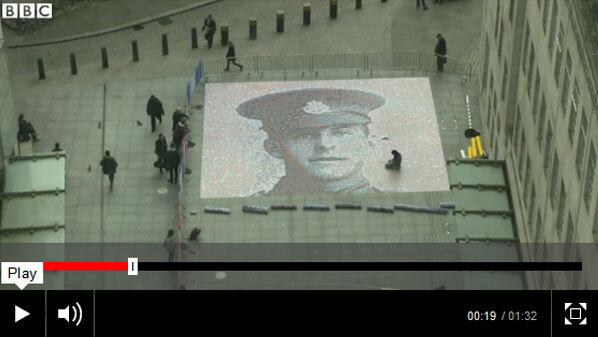 This mosaic commemorates how the sacrifices made by those during World War One, shaped the face of today. 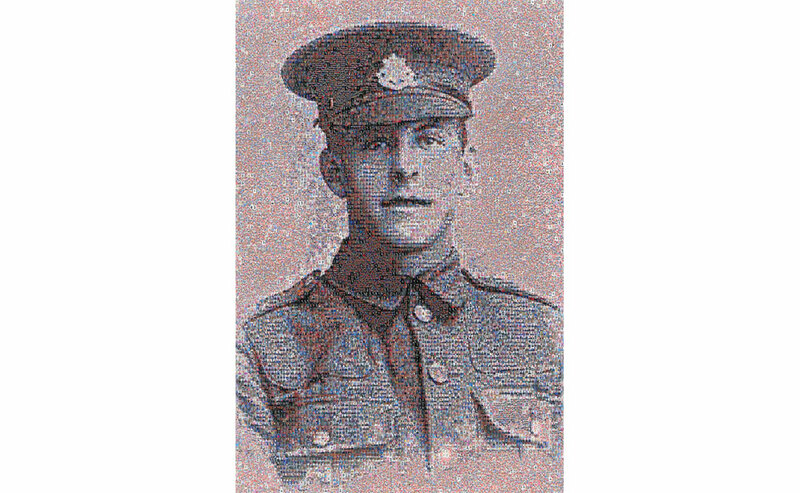 Private James Ernest Beaney was born on April 16th, 1893 in Battersea, London. 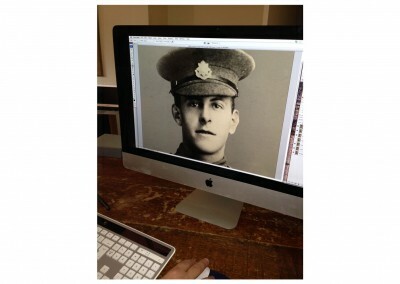 He served in The Queen’s Regiment, arriving in France on May 31st, 1915. 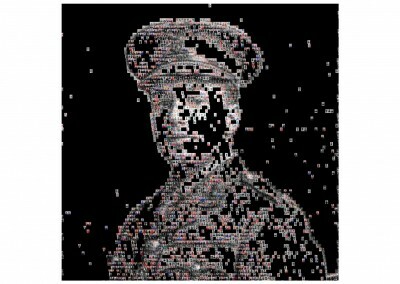 James died on August 8th, 1916 at the Somme. 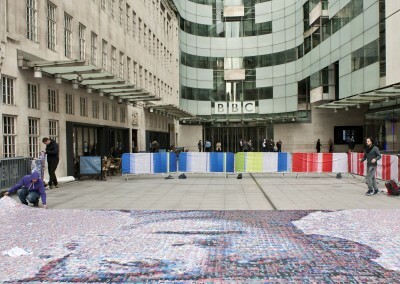 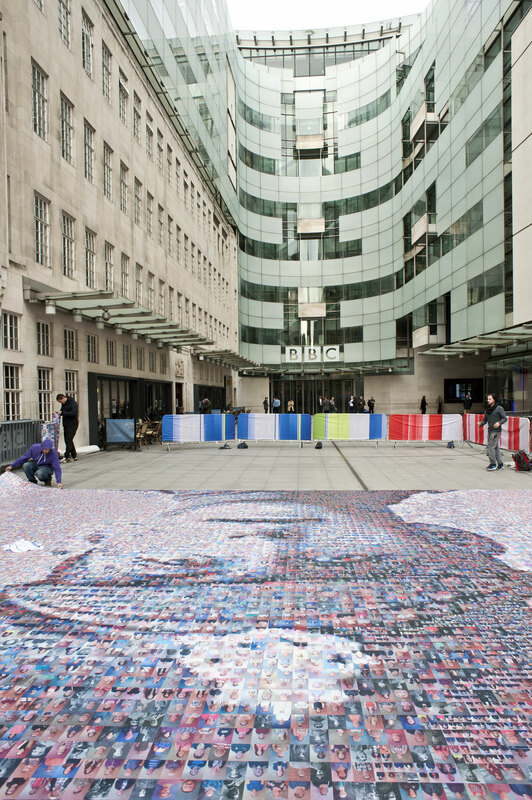 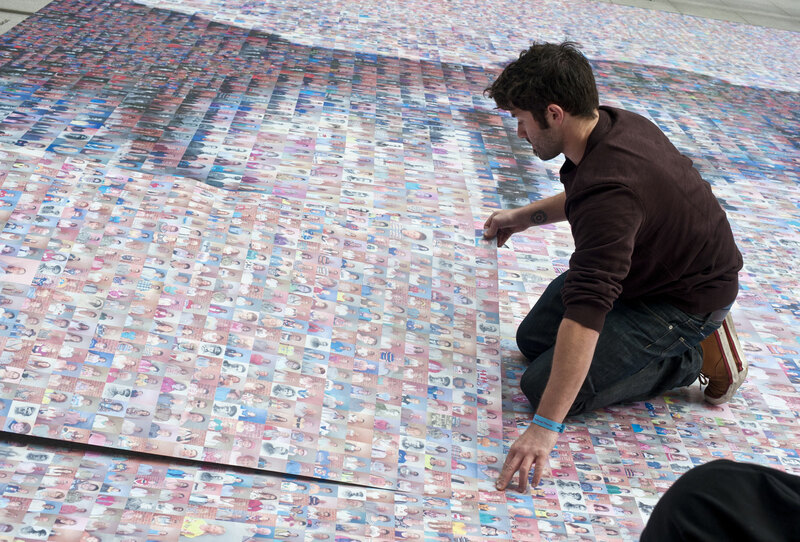 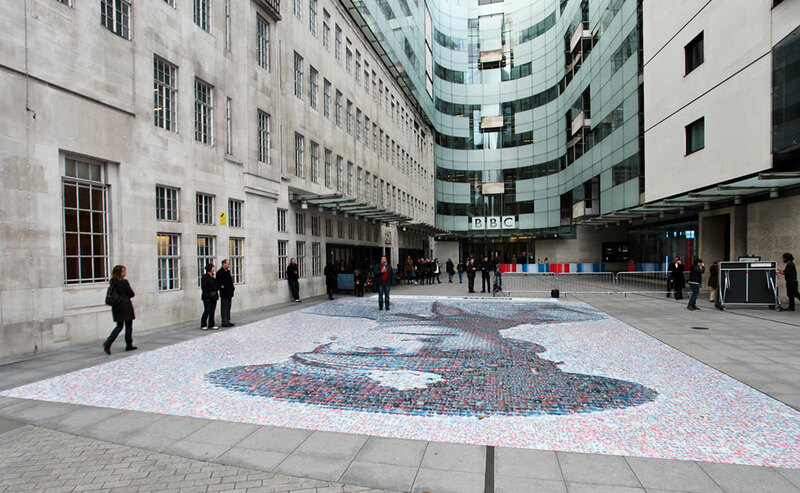 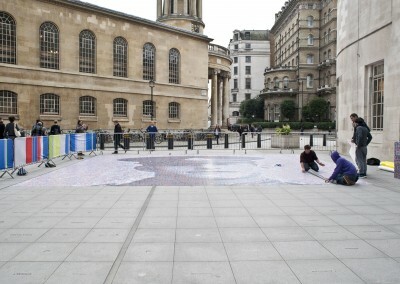 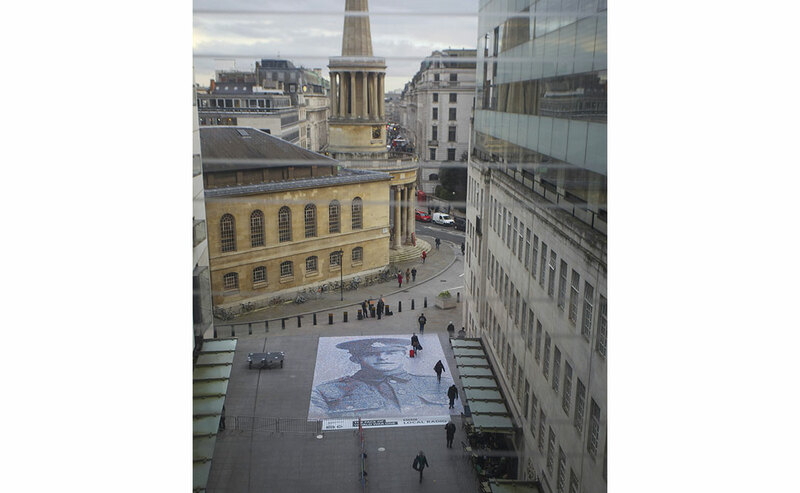 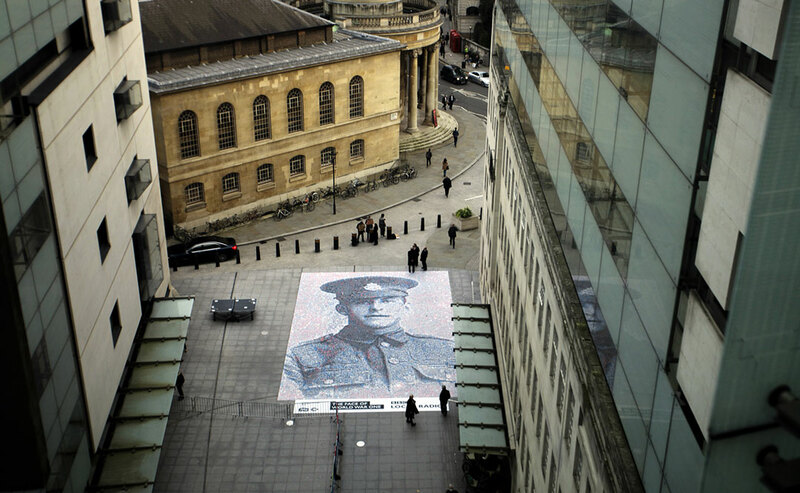 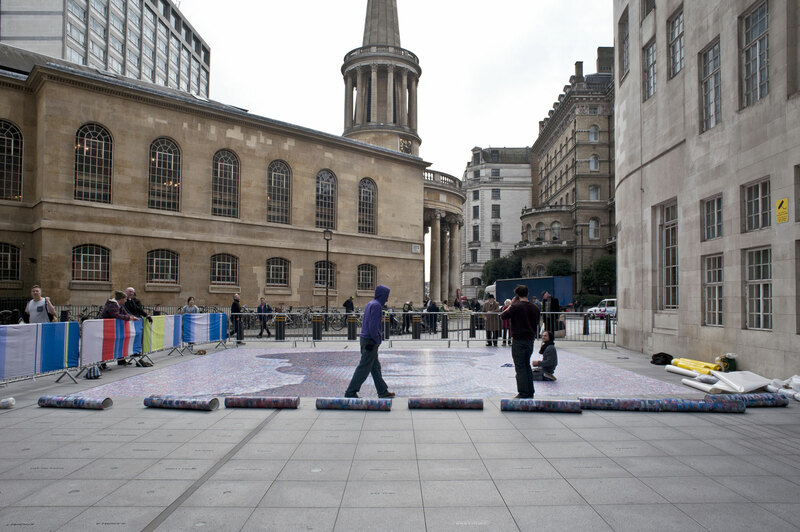 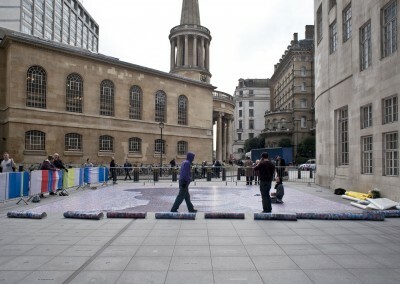 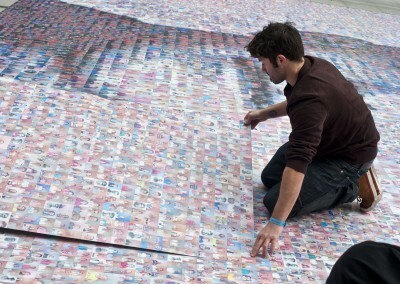 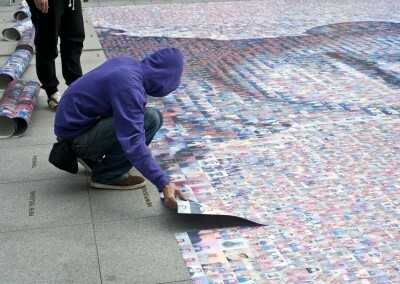 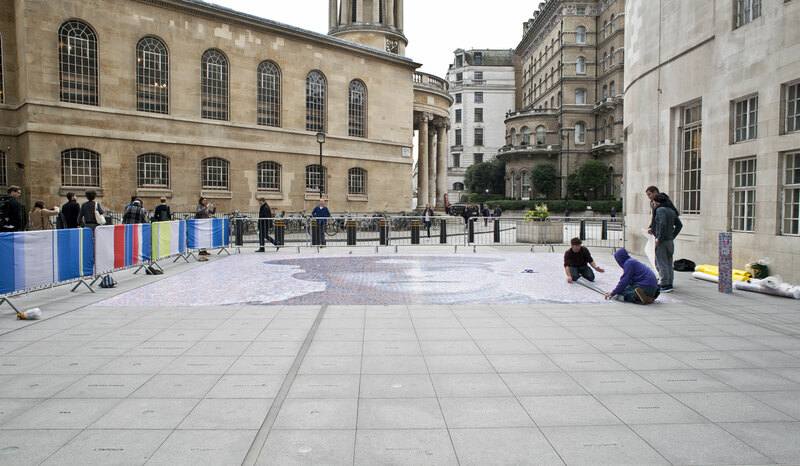 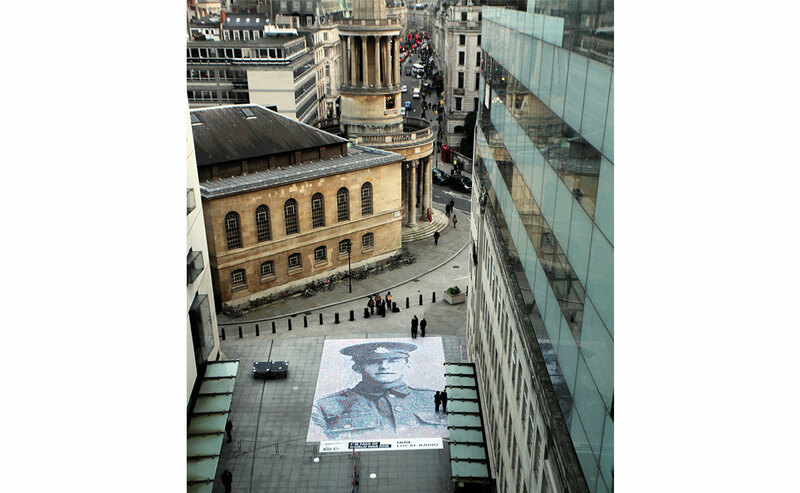 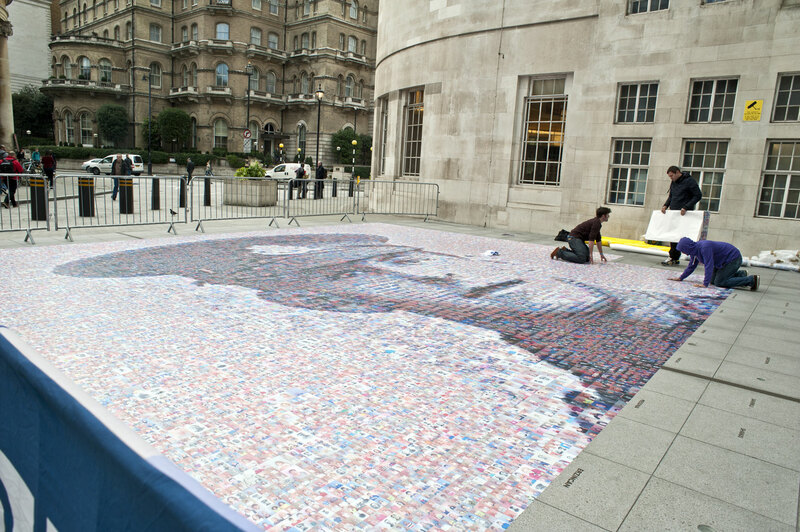 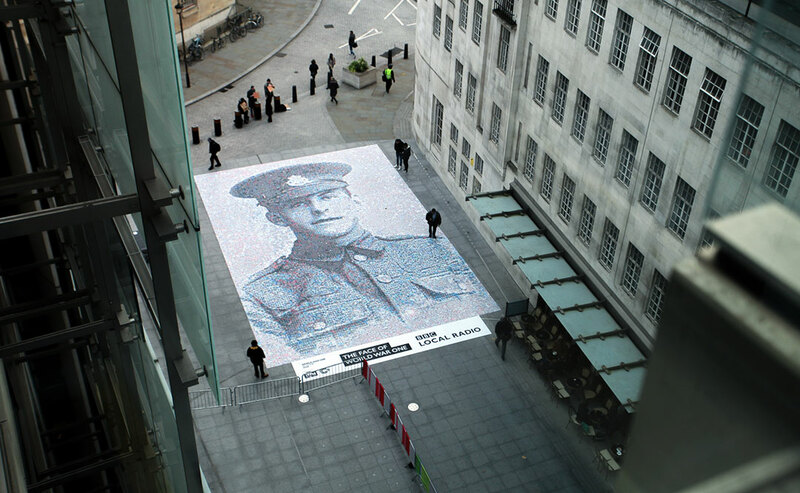 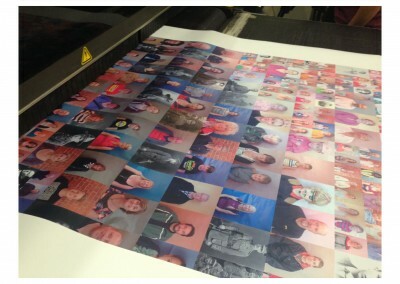 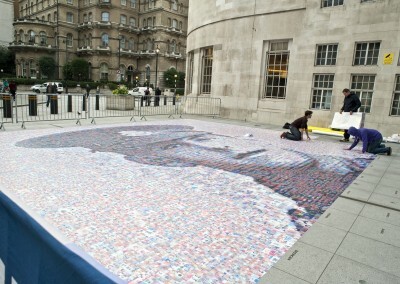 The Printed Artwork is 150 metres squared and was located outside BBC Broadcasting House Piazza from the 7th-14th November 2014. The digital artwork was projected on to a 27-foot-high wall in IWM North Main Exhibition Space on Remembrance Weekend.